Questions About What Is A Tea Infuser? If you think that tea preparation is a simple task that requires you to add hot water into tea leaves, then think again. Tea brewing may sound simple but there’s a long tradition that comes with the process of brewing tea. In fact for many cultures, tea brewing and drinking form part of a culture that has existed for hundreds of years. Even in the face of modernization and new refreshments, tea has managed to retain its standing as a popular drink of choice. As a way to cope with modernization and changing customer preferences, new versions of tea makers and accessories are used. There are now a number of models and types of tea makers, and some come with creative accessories that include the tea infuser. If you also want to indulge in a genuine tea experience, then you should know what is a tea infuser and you should understand the art and science that comes with tea preparation and tea brewing. The tea infuser is simply an accessory or device seen inside the teapot that can collect the loose tea leaves. Once the loose tea leaves are safely inside the infuser, then the actual brewing can take place. The infuser will be designed like a mesh cage with small openings so that loose tea leaves cannot escape. With the infuser, you can simply take out the container right after brewing and you will not worry about loose leaves that will float into the brew. Infusers are used in teapots, kettles and even mugs. The teapots with infusers are great for home use or when hosting a late afternoon tea party. 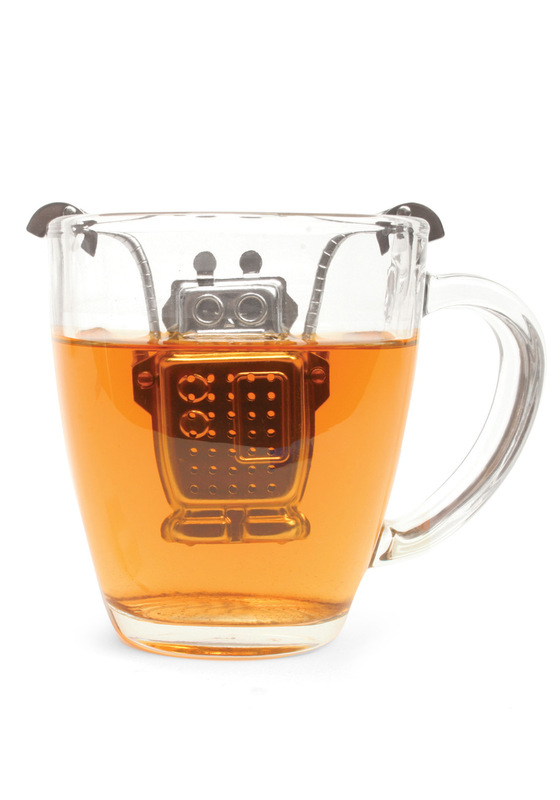 The tea infuser mug on the other hand is recommended for the person who is always on the go. The mug with infuser offers you a stress-free way of preparing tea even if you are out on a camping trip or attending a meeting. The mugs will normally come with covers thus you don’t need to worry about spilling the tea. If the intent is to prepare and brew tea inside the house, then the teapots or tea kettles are recommended. These products can brew a number of cups of tea at a time, thus best for group gatherings. To add flavor into the tea parties, you can use the glass teapot infuser. This is similar to the traditional ceramic teapot with infuser, the only difference is that glass is used as the material. With this design intention, you can finally observe the actual brewing process and the unfurling of the dried tea leaves thus adding a different quality to your tea experience.